Experimented with creating an intuitive abstract visualisation for displaying tweets about a subject using a sun + satellite metaphor. Built as a weekend experiment, using Java and the Twitter API. 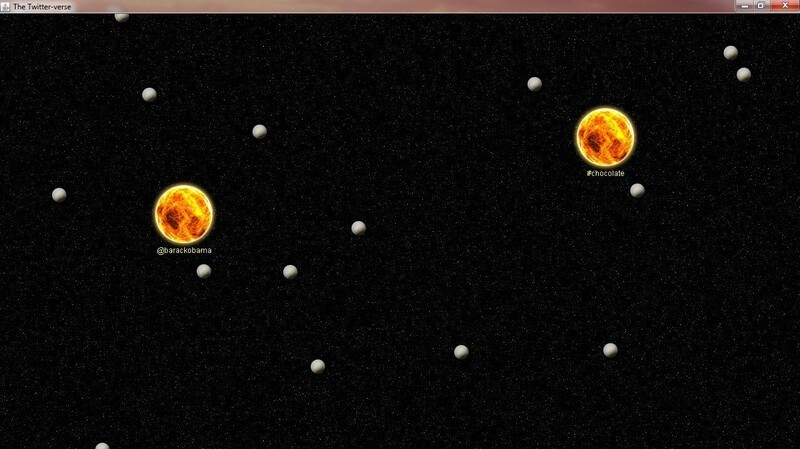 Displays a user or hashtag as suns and tweets pop up as moons in real-time, orbiting their topic. Provides users with instant and intuitive visual feedback about how popular a topic is.